…..to become one of the country’s biggest pressing plants! With vinyl sales at a record high, vinyl factories all over the world are struggling to keep up with surging demand from labels and consumers. Even America’s largest pressing plant has had to stop taking on new customers; a sign of the times. So, as a factory, if you get wind of a pressing sale, whether in Africa or America, it’s probably an opportunity worth leaping at, which is exactly what Quality Record Pressings have done. According to Analog Planet, factory owner Chad Kassem was alerted to a warehouse in Chicago full of dusty presses that had last been used in the ’90s to produce “bootleg” 78s for export to India. Likening to situation to “opening Al Capone’s vault and actually finding something”, Kassem snapped up the inventory consisting of ten Hamilton presses, two SMTs, and one Lened. Currently, capacity at QRP is struggling to cope with soaring demand, resulting in production backorders of three to four months. The plant is preparing to embark on triple shifts, meaning 24 hours a day operation but even then order delivery is expected to take several months, at least. As a result the additional presses couldn’t have arrived at a better time. 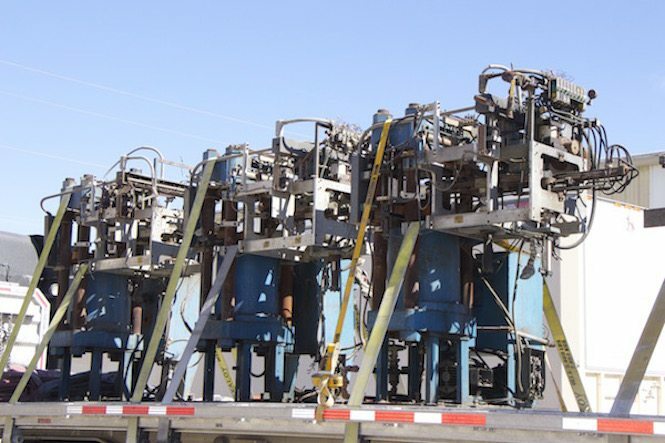 Upon restoration and installation of these extra presses, QRP will be operating with a total of 27 presses, doubling its capacity, and making it one of the country’s largest record pressing plants.